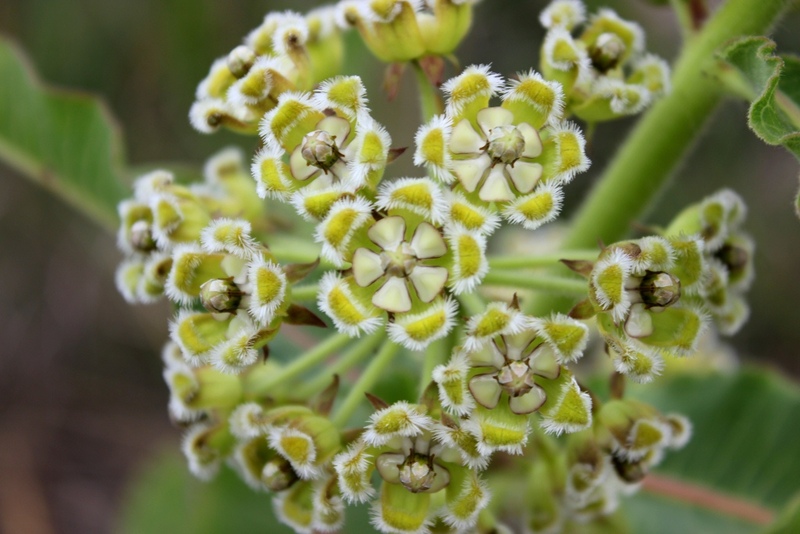 Gareth Boothway reports on what has been happening in the MCF’s Biodiversity Stewardship Project, which he manages, lately. October, November and December 2012 were very busy months for the MCF’s Biodiversity Stewardship Project. This is an important period for getting veld condition and biodiversity index assessments done on the Stewardship sites before the growing season ends. 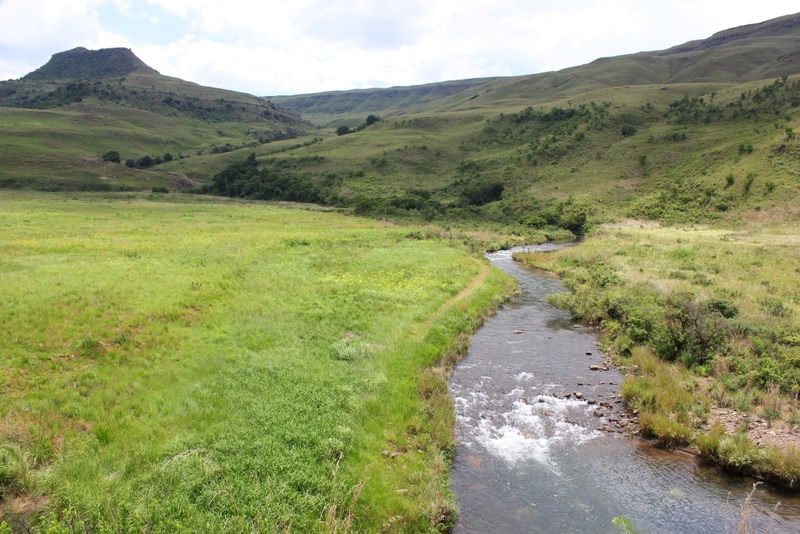 These assessments are very important in determining trends in management practices for our sites, which mostly contain the Critically Endangered Midlands Mistbelt Grasslands and the equally important Drakensberg Foothill Moist Grasslands. 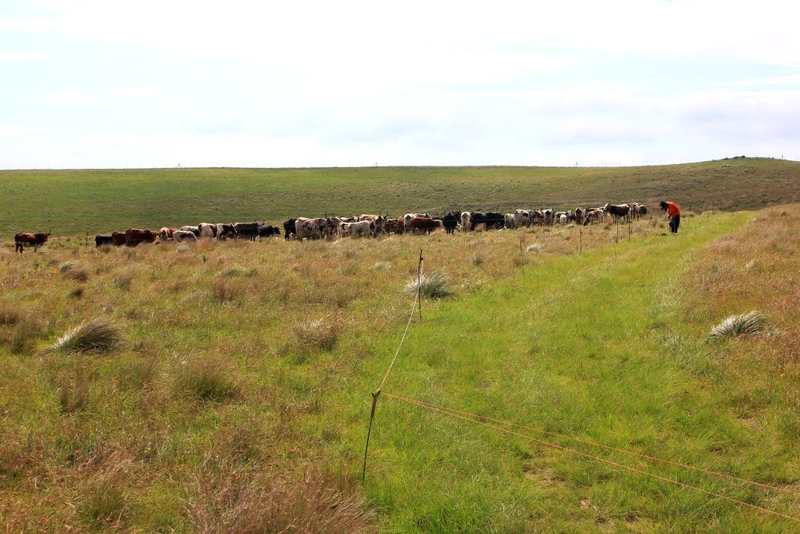 In reserves where cattle are allowed to graze, veld condition assessments are done (in partnership with EKZNW and CEDARA) in order to provide the future managers with a plan to determine acceptable stocking rates as well as an ecologically sensitive grazing plan. 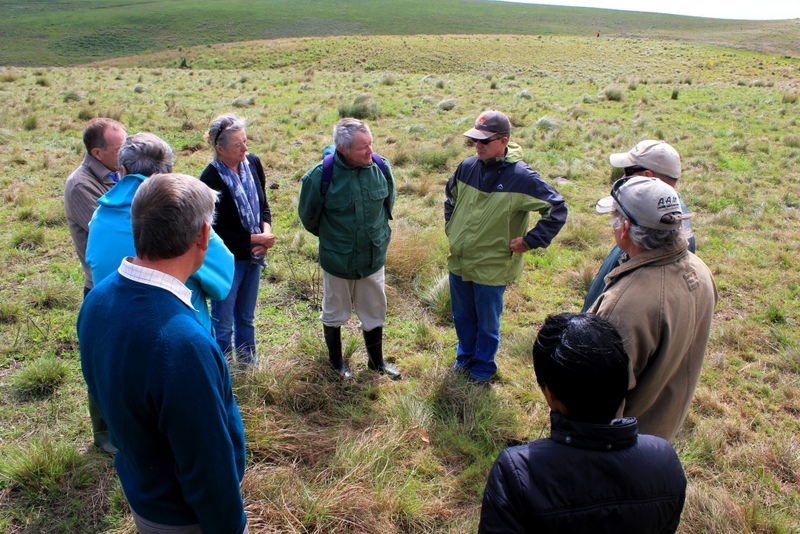 This coupled with a suitable fire programme, enables managers can start to manage the grasslands and wetlands with the aim of maintaining or improving biodiversity levels. 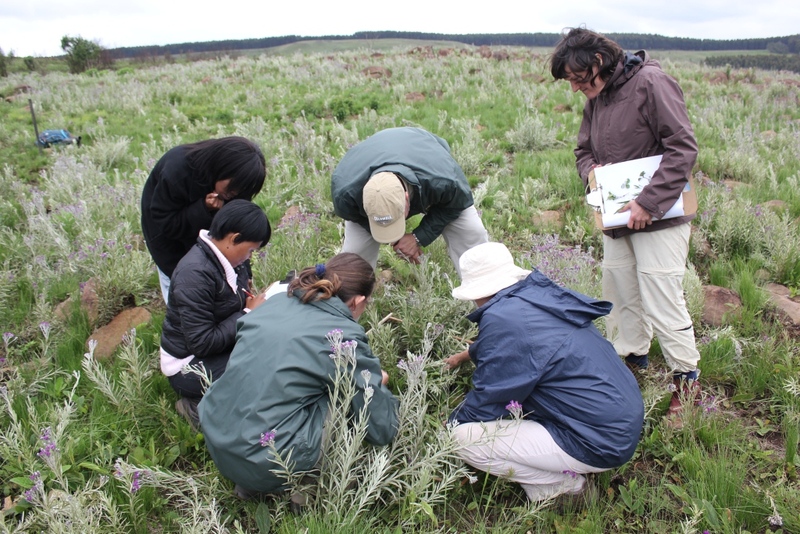 Biodiversity index assessments determine existing biodiversity levels in the grasslands, with a focus on the non-gramminoid plants (non-grasses). 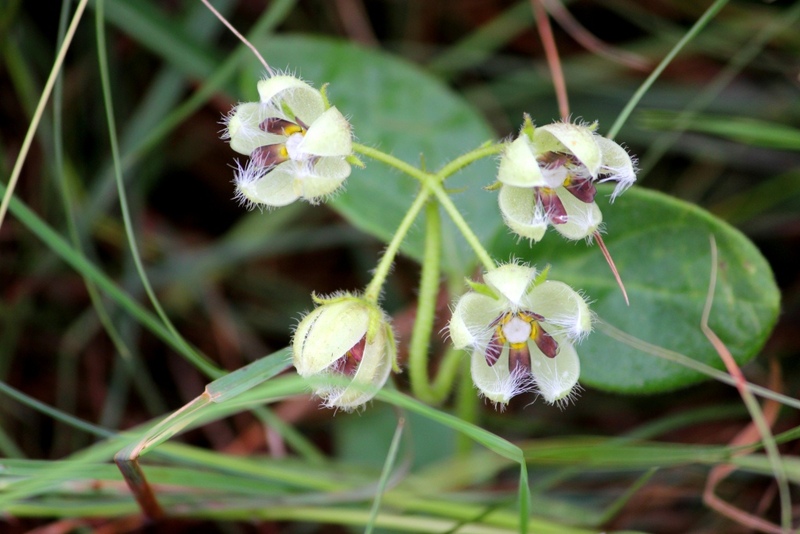 These plant forms make up approximately 80% of grassland diversity! 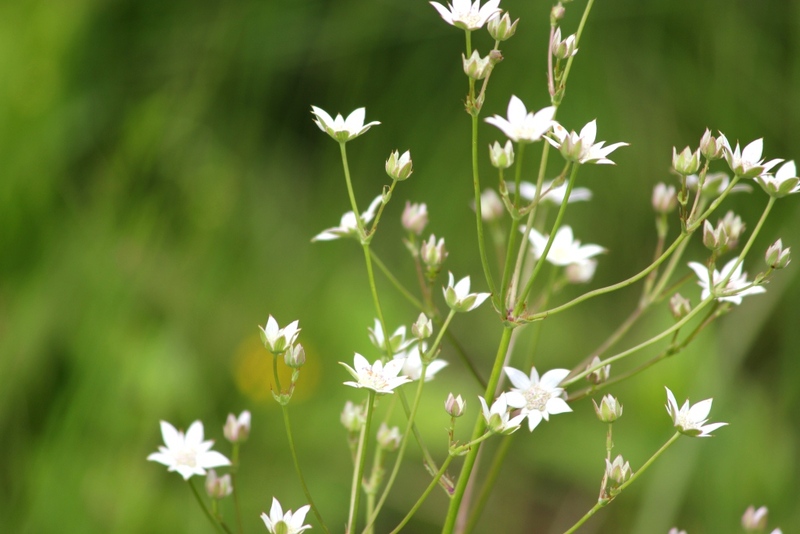 Like certain grass species, some of the non-grasses acts as important indicators of grassland health and the increase or decrease of these species are telling signs of how management practices such as fire and grazing are affecting ecosystem health. Monitoring plots are established which are re-sampled every 5 years to determine trends in biodiversity levels and species composition. The focus areas for this work our site assessments during October to December were the Fort Nottingham and Michaelhouse Nature Reserves. The Fort Nottingham Nature Reserve, to be proclaimed in 2013, is owned by the uMngeni Municipality, with a small portion being owned by Ezemvelo KZN Wildlife. The grassland and forest area are well over 1000 hectares in extent and the area is very important site for Oribi conservation. 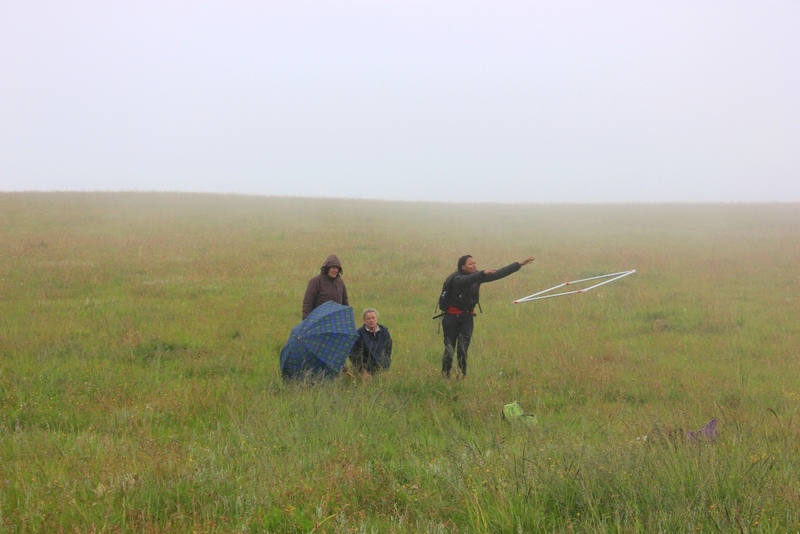 Sampling a plot on Fort Nottingham in the rain with Isabel Johnson (CREW), Ulla Heckert a volunteer from Germany and a UKZN PhD student. Doing this work in the growing season means sometimes working in the rain! It is however a great opportunity to identify plants. 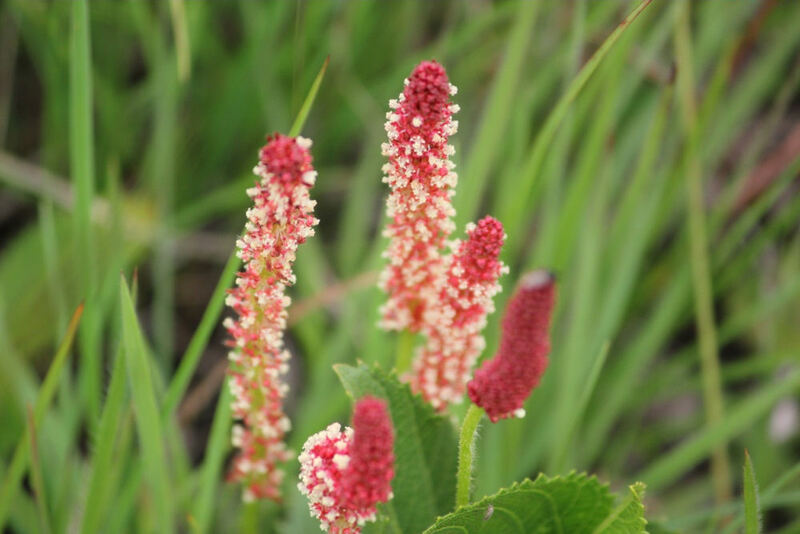 Getting down on your knees often reveals smaller flowering plants otherwise missed. 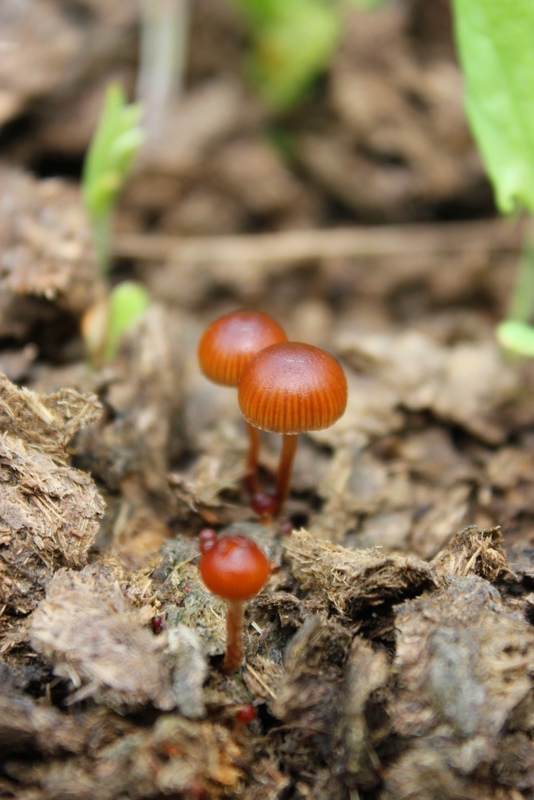 Tiny fungi growing in dung are also recorded. 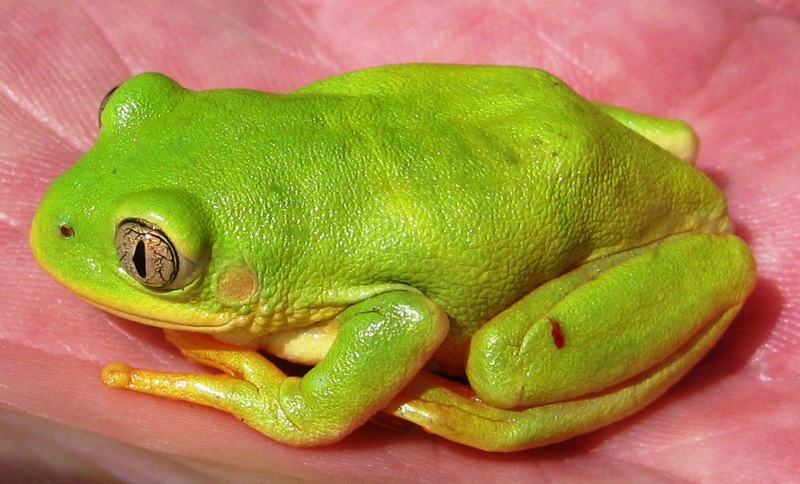 While we focus largely on recording plant life, discovering critters like this Long Toed Tree Frog (Endangered) is always cool! We have two UKZN PhD students working on Fort Nottingham at the moment. One student is looking into what is causing the drop in Oribi numbers there. The Oribi Population has decreased by about 50% over the last decade. It is feared that the jackal population has increased significantly which are predating on Oribi lambs. Other aspects of his research include determining the effects of cattle on Oribi survival and determining if Baboons might also be predating on young Oribi. The other student is researching the impacts of cattle grazing and trampling on the non-grasses. While we know intensive grazing will damage some plants, research on the recovery rates of certain plants is not widely published. The findings from this study will add to the tools and knowledge currently used to determine ecologically suitable grazing practices in Nature Reserves. Michaelhouse Nature Reserve is interesting in that cattle also graze there but the managers are testing the potential role of cattle to manage grasslands as a substitute for using fire. In normal farming circumstances, fire is often used to promote grass growth and vigor for cattle to graze. 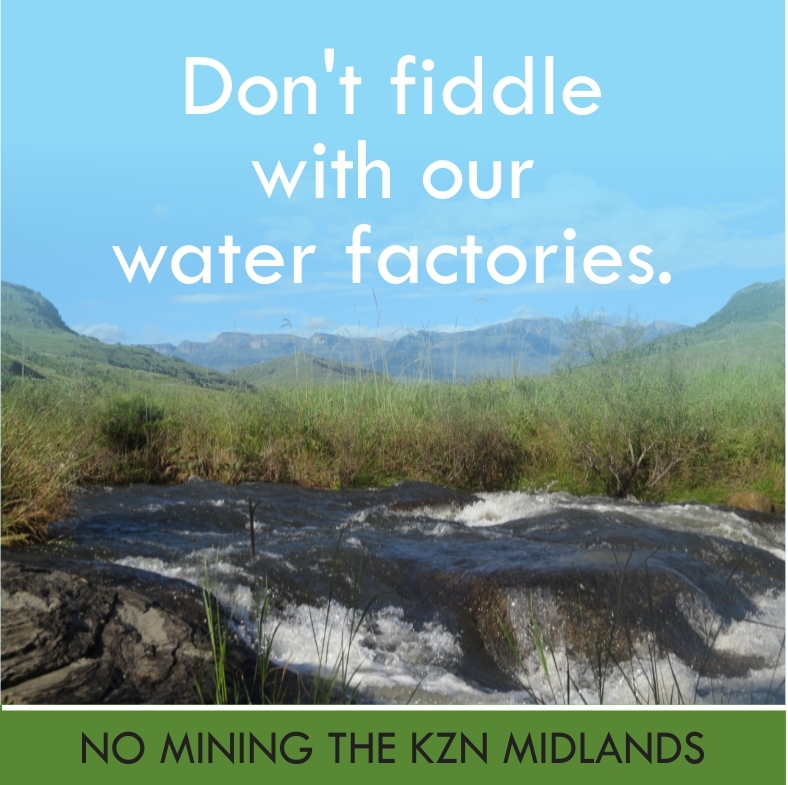 The same applies to managing sourveld grasslands in protected areas. Improved grass vigor means better animal production. By concentrating cattle in high numbers in a particular area for short periods, a similar effect to what fire does is achieved. We discussed the pros and cons of using cattle as management tools for Nature Reserves with EKZNW staff, UKZN scientists, private landowners and Michaelhouse management staff. In protected areas where natural biodiversity levels need to be protected, cattle need to be managed very carefully so that they do not overgraze or trample the plants that they do not eat. It is difficult to achieve this with cattle as they need to graze an area relatively well to prevent grasses from becoming moribund, an issue which fire often takes care of easily. Cattle on the property are controlled by portable electric fencing. It will be interesting to compare this practice with a similar site which promotes the use of fire and determine which method achieves the best levels of species richness. One concern that is often expressed by those in favour in using fire for management is that many non-grasses in grasslands are actually adapted to fire with many species depending on fire for increased vigor, stimulating flowering and in some cases it is critical for seed germination. 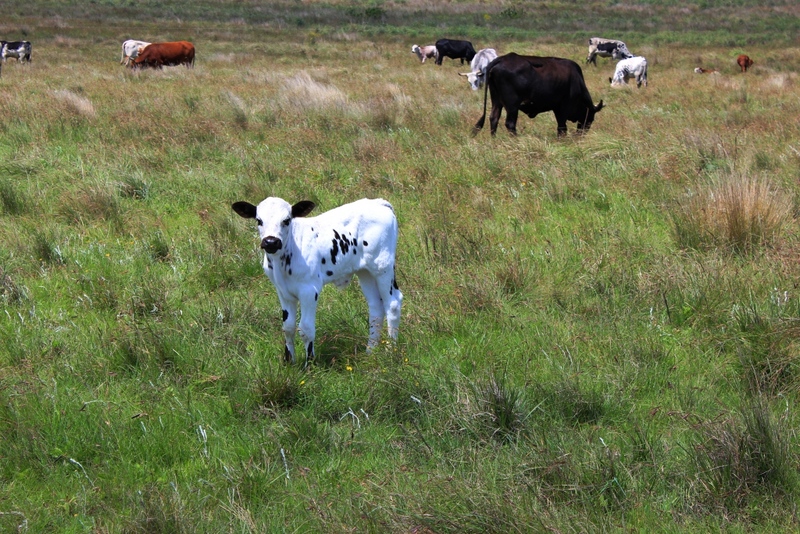 Calves are not counted as part of the herd as grazers but do have a trampling effect on plants. The Midlands Conservancies Forum has been approached by Michaelhouse to assist them with management of their Nature Reserve, which will be an exciting challenge! To determine the impacts of excluding fire and using cattle to fulfill its role, several monitoring plots have been established and will be monitored in the long term. 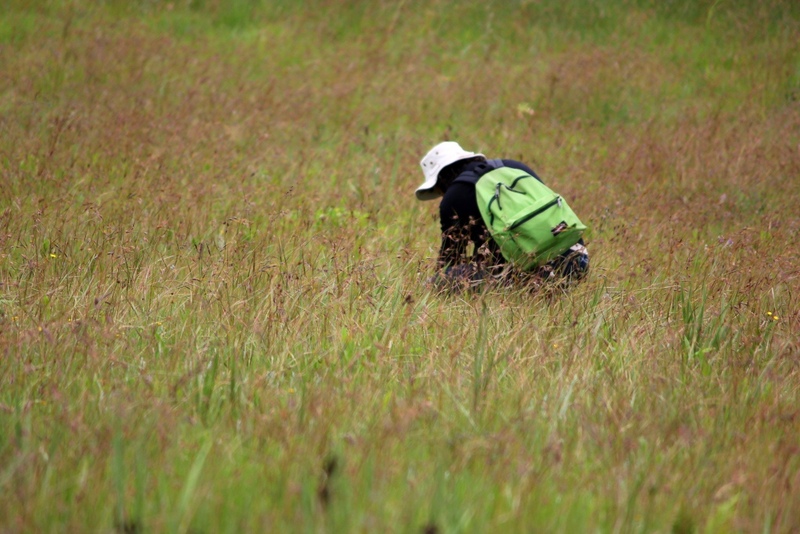 Sampling one of the plots on Michaelhouse Nature Reserve with EKZNW, CREW and WWF staff. Found in one of the plots – The Endangered Fanninia caloglossa, described by the Botanist and Farmer from the Dargle area in 1847. Dunsink in the Giants castle area is a privately owned farm which borders on EKZNW’s Giants Castle Nature Reserve. The landowner who already participates in the Biodiversity Stewardship Programme, having donated land for protection, wishes to incorporate Dunsink into the programme too. 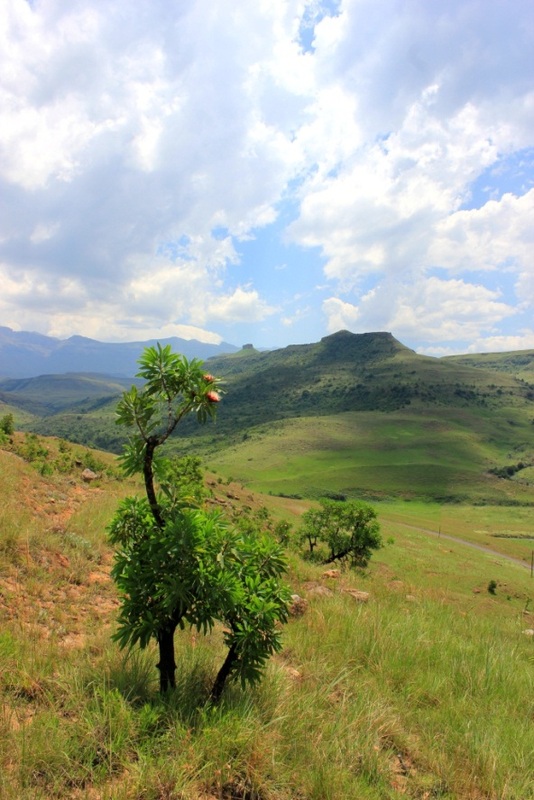 In effect this property could become part of the Ukahlamba Drakensberg Park. The Bushmans river runs through the property. An initial site visit was conducted to assess the general condition of the property. 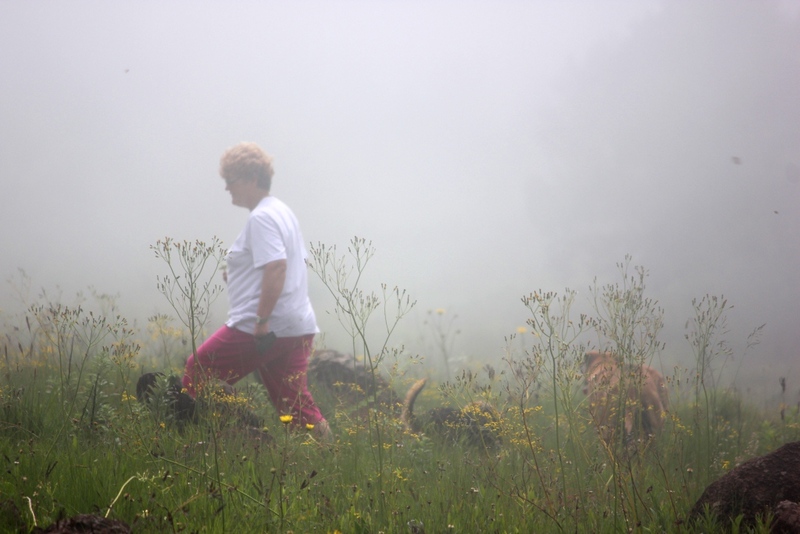 The property will need to be assessed and reviewed by the KZN Biodiversity Stewardship programme in the near future, but given its location and condition will qualify as a Nature Reserve. There are Protea savannah stands on the property. 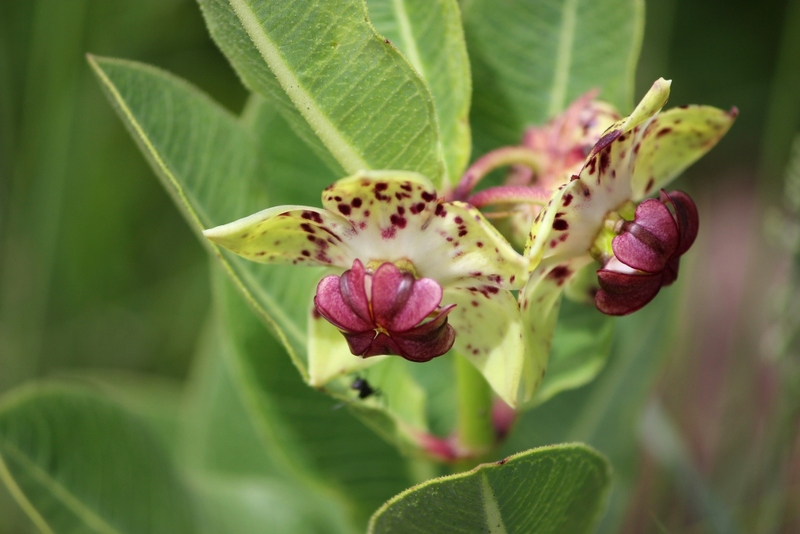 Xysmalobium undulatum a milkweed species occurs on the property and is used for medicinal purposes locally and internationally in Europe! I visited a private farm in Currys Post (Near Howick) in November and although small it has the potential to be formally protected. The farm is owned by the Chris Carey and has indicated interest in participating in the Stewardship Programme. 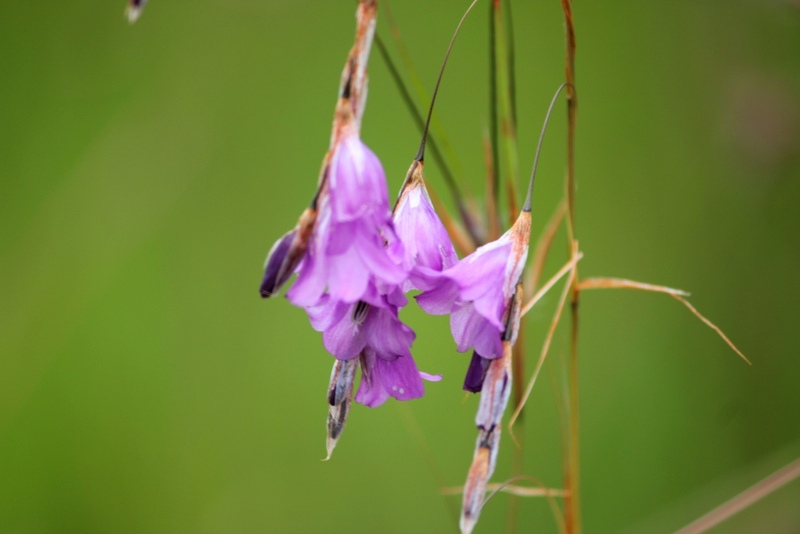 Along with a neighbouring property, it sits at the perfect altitude and provides suitable habitat and host plants (Indigofera woodii) for the Karkloof Blue Butterfly (restricted to a small area in the Karkloof valley). Alepidea amatymbica – A Vulnerable species under threat from illegal harvesting. This entry was posted in Uncategorized and tagged biodiversity index, frog, grasslands, oribi, stewardship project on January 10, 2013 by Midlands Conservancies Forum.